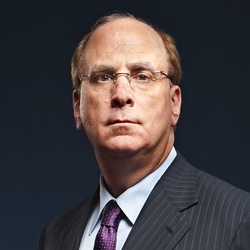 Without naming U.S. President Donald Trump or pointing specifically to Brexit, Larry Fink just issued a companywide call for a more global, diverse, and inclusive BlackRock [profile]. On Thursday Fink sent a memo to all BlackRock employees, Business Insider reports, titled "renewing our principles as a global leader." He comments on the rising backlash against globalization, which he says "is in retreat." Fink calls for the BlackRock team to operate "as a truly global company," yet one that works "to be more relevant to ... clients in each market than any local player." He wants BlackRock folks "to be active and engaged corporate citizens" around the world. Fink also holds up "diversity and inclusion" as having to be "principles by which we must live." For most of the last half century, the trend of globalization has moved almost exclusively in one direction: forward. Fueled by the transformative power of technology, the flow of people, goods, and capital accelerated across international borders. Nations grew closer together. The world became more intertwined and interdependent. Today, however, globalization is in retreat. The backlash against globalization that began in the Middle East, then spread to Europe, has now taken firm root in the U.S. While globalization has fueled economic growth and lifted millions out of poverty, it has also created dislocation and distributed benefits unevenly. As a result, economic nationalism is rising in many countries. The security and trade architecture that has governed recent decades is being redefined, and we are likely to see a fragmentation of global trade and capital flows as a result. At this time of profound change, I think it is important for us as a firm to recommit ourselves to certain core principles. First, we must rededicate ourselves to operating as a truly global company. Since our founding 29 years ago, BlackRock has sought to engage with and embrace talent and clients from cultures in all corners of the world. We will not retreat from that commitment. I have frequently talked about the need to be local in every market where we operate. The current environment makes that more urgent than ever. While we need to operate as One BlackRock across the globe, we also need to be German in Germany, Japanese in Japan and Mexican in Mexico. 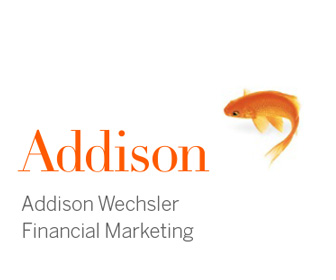 Even as we leverage the benefits of our global scale, we need to work to be more relevant to our clients in each market than any local player. The needs of investors in S�o Paulo differ from those in London, as those in Abu Dhabi differ from those in Hong Kong. The market dynamics are different. The cultures are different. 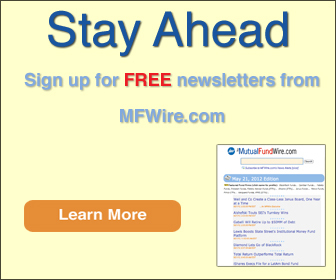 The way people save and invest are different. We need to understand those differences and deliver advice and solutions that meet the unique needs of clients in each market. We also need to be active and engaged corporate citizens in these communities. We need to promote our commitment to long-termism. We need to contribute constructively through the products and services we provide as well as our philanthropy, policy advocacy, and the relationships we forge. As part of these efforts, BlackRock�s senior leadership engages with governments and leaders around the world � from the White House to 10 Downing to Zhongnanhai � when we believe engaging in public-private dialogue is necessary for long-term solutions. Second, we must renew our commitment to diversity and inclusion. These cannot be buzzwords � they are principles by which we must live. The employees of BlackRock represent more than 50 nations and speak more than 100 languages. We are people of many races, faiths, and cultures. That diversity is our strength. To deliver our commitments to our clients, we must attract the best talent, wherever we find it in the world. We need to nurture a culture where people of all types feel valued, included, and encouraged to reach their full potential. I recognize that this is an uncertain time � and an uneasy one. More than ever, we must continue to lead by example, living out our commitment to inclusion and to strengthening our ties with clients and partners around the world. As we move forward in 2017, I ask each of you to help us better understand the many cultures and nations we serve. Lend your ear to differing voices and opinions. Embrace the diversity of our people and the world around us. Deepen the bonds with the communities in which we operate. That always has been, and will remain, the BlackRock way.